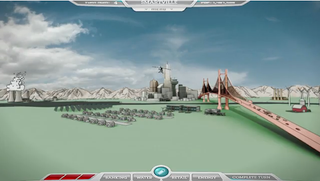 If SimCity introduced legions of gamers to the world of urban planning, then IBM's upcoming CityOne game looks to take that education to the next level. With real-time water management, microlending, and smartgrids, will there be any room for fun? We'll get a better idea of that tomorrow, when IBM introduces the game at the collegiate IMPACT conference. The game challenges players to take on many of the problems facing real cities today—overcrowding, inefficient energy infrastructure, stagnant small business economy, etc.—and design smarter cities that can sustain and encourage the growth of a prosperous population in the future.